ASK 1,000 marketers what success is to them and you’ll get 1,002 different answers. Brand awareness; web traffic; audience engagement – for many, these metrics are the be all and end all. But all of this ultimately must lead somewhere else: lead generation, because if money stops coming in, those 1,000 marketers might be out of a job. Now, many B2C companies – specifically retailers – require sales from ‘customers’ rather than ‘leads’, while B2B companies are usually looking to find ‘clients’ with which they can build ongoing relationships, and they do this through high-quality lead generation. So, for the purpose of this guide, we’re going to refer to both customers and clients as leads; don’t worry, we’ll explain exactly what a lead is in a sec. What exactly is a lead? Like success, the definition of a lead will be different for different marketers; heck, sometimes there are different definitions for the same lead, depending on how much contact they’ve had to date. The simplest way to describe a lead would be someone who has visited your website and either downloaded something, filled out a form, abandoned a basket, enquired about a product etc. They might not have directly expressed a desire to buy yet, but they might. With the sales team chomping at the bit to get their hands on the quality leads you’ve brought in, it’s important to be able to decipher exactly what those leads look like. We don’t mean in physical appearance; rather what is the state of their relationship with your business? How much do they know about your product or service right now? As of now, have they shown any interest in making a purchase? If all you have is product details and a ‘Buy Now’-style button, your website is never going to generate leads. It can often take many other forms of contact before a lead is nursed along the buying cycle, but you should be looking to capture them – or rather, their information – while you have them in your midst. Ensure the customer always feels like they’re on a relevant page. Landing pages are integral to lead conversion. This refers to the page which the potential customer finds themselves on when they follow a link through to your website. It might not necessarily be the homepage; it could be any page on the entire website, or one that sits offsite especially made to promote something. Landing pages should always be simple in layout and navigation, with a clear call to action (CTA). “The brain should be able to understand what it is looking at in just a few seconds or else the visitor will decide they can’t be bothered, and leave,” says Wez Maynard, head of design. On average a website visitor decides whether to stay or go in just eight seconds – so there isn’t long to get the message across. This means avoid clutter and keep choice to a minimum; offering just one choice or a few. Keep it simple; just a 20 per cent increase in design simplicity can result in a 96 per cent increase in customer loyalty, an 86 per cent increase in likelihood to purchase and a 115 per cent increase in likelihood to recommend, according to leading member-based advisory firm CEB. 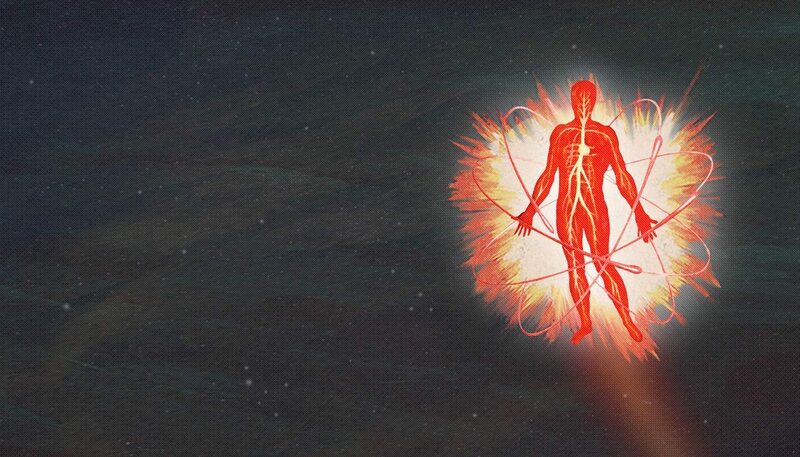 The brain should be able to understand what it is looking at in just a few seconds or else the visitor will decide they can’t be bothered, and leave. The headline is the first place you’ll grab your lead, so be sure to allocate these an appropriate amount of time when crafting copy. They need to be strong and clear, making it immediately obvious to the reader what they are looking at. Consider using an A/B test to find out which title works best for conversion. Ensure the language you use is proactive, especially for the call to action (CTA). Tell the customer exactly what you want them to do, rather than assuming they know. Be direct instead of ambiguous; so ‘You might want to do this’ would become ‘Do this’, and ‘If you’re interested in buying, click here’ becomes ‘Buy Now’. Responsive design is all the rage these days, and rightly so; you should make it easy for users by being aware of the medium they are using. Buying online is more popular in the UK than anywhere else in Europe, so it’s essential to know your customers and their browsing habits, in order to present your information in the best way. This can be gained from using data to see what devices most website visitors are using. Make sure a three-year-old can use your website. It needs to be intuitive. At the end of the day, just make sure your landing page is easy; easy to understand, easy to see the benefits, easy to know what to do and easy to know what will happen next. “Make sure a three-year-old can use your website. It needs to be intuitive,” Coralie summarises. Online forms are often overlooked and yet they’re one of the main components of a conversion. They are ideal for capturing data; another place where it’s important to make the process as easy as possible for the customer. When designing the page, forms should be as minimal as possible, asking for just basic details. Consider each field and whether it’s really necessary; fewer fields will convert better, be sure to explain what you are asking for in each of them clearly. Big boxes are recommended as they help make the form look easy to fill out. Using in-line form validation makes it obvious to the customer when each box is complete. Formatting techniques such as boxes that change colour to highlight errors or completed fields will help streamlined the process for the customer. Consider optimising the form for mobile users – it can be very frustrating to constantly zoom and pinch to fill out a form on a tiny smartphone screen. Responsive design is now the industry norm. A web form that is designed perfectly for all screens will get much better conversion results. Offering customer support through live chat solutions is also a great way to help your leads convert through forms. If the customer has a query along the way, they can open a live chat window instead of having to leave the form and go to an FAQ page. Retailers in particular should introduce this service to their websites as soon as possible. Live chat has the highest satisfaction levels for any customer service channel with 73%, according to Econsultancy. Despite this figure, just 14% of UK online retailers offer live chat, so there’s definitely a gap in the market there. Live chat has the highest satisfaction levels for any customer service channel, but only 14% of UK online retailers offer it. If data is captured correctly, an email list can be expanded quickly. You can build up different lists for different areas or audiences, or just segment them within your main list. You can then customise any follow up communication, such as automated email workflows which send a series of emails over several weeks or months after the initial contact was made, ensuring it is suited to each list. Breaking down general lists into smaller groups in order to send out more tailored messages is essential for digital marketing. This segmentation can be done either by data (geographical location or age groups, for example) or according to how the data was captured. Consider whether this was through a competition, or a PDF download. Take an online estate agent, for example; a lead who has downloaded a ‘Guide to renting’ PDF might then receive a targeted email focusing on the benefits of property management for home owners. On average, organisations that nurture their leads experience a 45 per cent lift in related ROI over those organisations that do not, according to MarketingSherpa. On average, organisations that nurture their leads experience a 45% lift in related ROI. Considering the effectiveness, it’s surprising that 65 per cent of B2B marketers have not established lead nurturing. Just some of the ways this can be implemented to offer immediate value include how-to guides or e-books. Remember to make it easy for the reader to interact with the customer service team. Whether it’s through phone, email or Twitter, a direct route will encourage communication, which is more likely to improve business. Don’t be afraid to ask for information and stay actively in touch. According to DemandGen, lead nurturing emails get four to ten times the response rate compared to standalone email blasts. It might seem like a lot of work setting up email workflows. First, you have to determine the content of the emails and the criteria a contact needs to have in order for them to be added to it. Then, you have to constantly monitor your customer relationship management (CRM) tool so that you know when to send each email to each contact, right? The whole point of email workflows is to ensure your web leads don’t get clogged in the marketing funnel. Actually, most CRM systems allow you to set up automated ‘triggered’ email workflows, so the emails are sent . While you do need to determine the content and contact criteria, the emails will then be sent automatically. Data gained through leads is valuable not only for building up email contact lists for e-marketing, but also for gaining insight into buying habits and target audiences. It’s important to evaluate leads to see what they can demonstrate. This can help identify opportunities to drive more revenue and sales leads from existing traffic. So, what can you do to get the lead to take action? Conversion rate optimisation (CRO) is a specialised area of digital marketing that requires an understanding of user behaviour. PPC experts and user experience (UX) designers look at ways to constantly improve web pages in order to maximise conversions – all based on experience and data. At its most basic, CRO means figuring out what a site visitor is looking for, and then delivering it. It can take many forms dependent on your goal. Conversion rates are a key indicator of how well a website is capturing leads and performing within its industry. Often companies focus on attracting more visitors to the website (driving more traffic), but if your website isn’t designed to help people convert then that’s the issue which needs to be addressed. Yet this isn’t the case, at least not as often as it should be. According to a survey conducted by Holger Schulze, 25 per cent of B2B marketers don’t know their lead conversion rates and 41 per cent don’t know the average cost per marketing-qualified lead (MQL). CRO is about improving the conversion rate. This is the method of creating an experience for a website or landing page, with the goal of increasing the percentage of visitors who convert into leads or customers. It’s important to take a structured approach to work out what users are looking for and make that as easy as possible for them. A higher conversion rate means a better return on investment. In addition, CRO helps to defend against the limited attention span of the average visitor by giving them what they want, before they tire of looking for it and move on. PPC specialist George Haslett explains: “At its most basic, CRO means figuring out what a site visitor is looking for, and then delivering it. CRO can take many forms, dependent on your goal. Often it’s not about undertaking a huge website overhaul, it’s the small changes that can really make a difference when it comes to CRO. In order to begin making changes, you’ve got to set yourself goals. A goal needs to be the measurement of a metric that provides value to the business. Conversion rate is defined as the percentage of visitors who complete a goal, as ascertained by a site owner. These goals should be measurable with a tangible value. In general, a goal needs to be the measurement of a metric that provides value to the business. This could count when people sign up for a newsletter, when they fill in an enquiry form or when they complete a purchase. It’s possible to track multiple different goals but it’s important to understand the varying values of each. Customer experience manager Chris Pitt explains how you can have measurable goals at each point: “Companies must understand the value in every single interaction; how many interactions of a certain kind do you need to hit your lead generation goals, and through that, your sales targets? Companies must understand the value in every single interaction. Some website owners make mistakes like counting views of a contact form as an achieved goal, when they should be counting how many people complete the form, or indeed both of these things. Always question why you’re tracking something or setting something as a goal. What achievement does the data truly present? And is that data then actionable? Dave Colgate, an SEO specialist, sees many of the pitfalls which marketers fall into. He explains the importance of setting goals that mean something: “A lot of the time I see people who set goals because they think they should be tracked, but they don’t provide any tangible data. Make sure to test your goals over a period of time to ensure the accuracy of your data; you could use a similar existing goal as a benchmark in terms of the output data. It’s also important to remove obsolete goals to ensure all data remains clean and accurate, helping you make informed decisions moving forward. Dave recommends having a clean-up every six months. PPC specialist Henry Carless worked closely with wholesalers Lewis Pies to increase its lead generation. He recommended that the company changed the way it gathered leads through PPC. 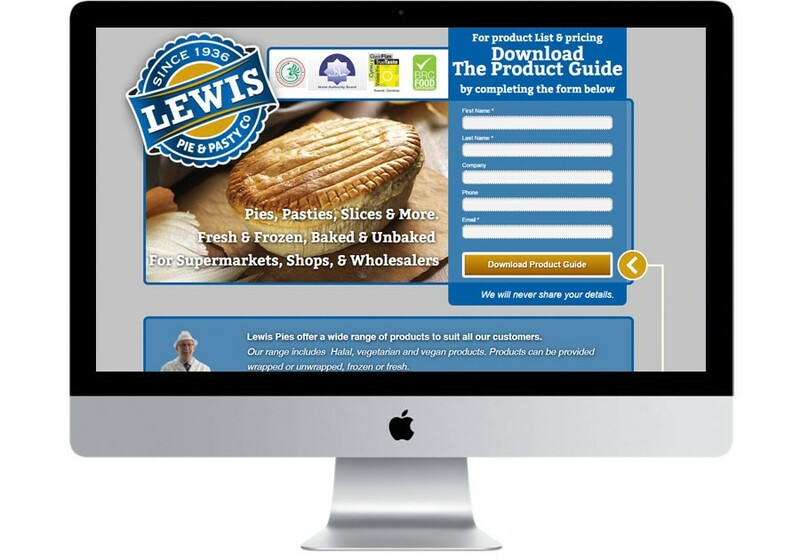 Lewis Pies had a landing page which asked people to enquire for more information,” he says. “I recommended they create a product guide PDF and use a lead-capture form for people downloading it. The conversion rate (in this case people who clicked an ad and went on to submit their details via the form) increased from 2.64 per cent to 15.59 per cent – a whopping 491 per cent increase in conversion rate. Steve Masters, Services Director, gives this example of tracking goals for a travel company: “The client had a goal set up in Analytics to count enquiries when people fill in the form on the site. We created a monetary value for the goal by calculating the ratio of enquiries to sales. Based on the value of the average sale and how many enquirers go on to buy, we came up with a goal value of £200. Always question why you’re tracking something or setting something as a goal. What achievement does that truly present and is that data then actionable? 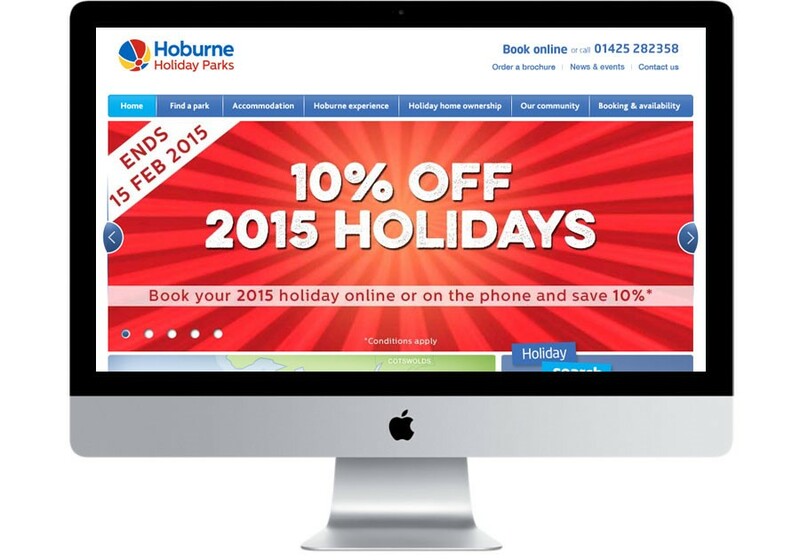 Getting your landing page design right can make all the difference to your conversions. Here are 12 key tips to help you get the look and the message right. Design is more than how things look. It is also about how they are used. The better the usability, the more enjoyable the product. Good design matters. What is performance UX and why should I care? Performance UX is not a term you hear marketers talking about. Optimising for better performance is understood, but performance UX doesn’t get attention.